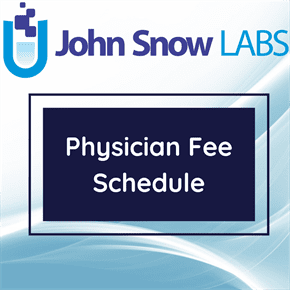 This dataset contains information on services covered by the Medicare Physician Fee Schedule (MPFS) in 2018. For more than 10,000 physician services; the dataset contains the different carriers and locality wise payment amount with specific indicators. The Centers for Medicare and Medicaid Services (CMS) determines the final relative value unit (RVU) for each code used in this dataset, which is then multiplied by the annual conversion factor (a dollar amount) to yield the national average fee. Rates are adjusted according to geographic indices based on provider locality. This dataset includes the Facility and non-facility payment amount according to different carriers and locality for a specific CPT (Current Procedural Terminology) and HCPCS (Healthcare Common Procedure Coding System) Codes.